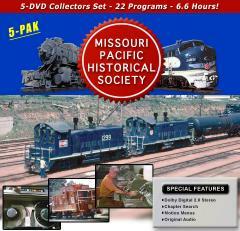 Green Frog has partnered with the Missouri Pacific Historical Society to Co-produce New productions from their archives of Historic Films and Pictures, so look forward to future Programs. Videos on this page are available in DVD format, and Possible Future Blu-Ray Disc format. Regular DVD's will use the DVD-R or DVD+R Disc formats. Blu-Ray Discs will use BD-R Disc format.